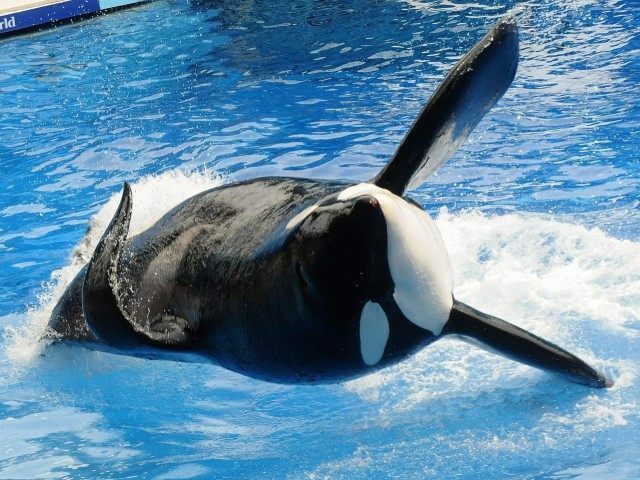 CNN re-aired the 2013 documentary Blackfish on Saturday night — just two days after SeaWorld CEO Joel Manby announced that the theme park will surrender to the environmentalists that have aggressively attacked SeaWorld’s orca captivity program, and end both orca shows and captive breeding. Manby’s open letter, published in the Los Angeles Times, did not explicitly mention the movie. However, subsequent to the release of Blackfish and attacks from groups like People for the Ethical Treatment of Animals (PETA), the park had attendance and financial troubles. Blackfish was first released in 2013. Left-leaning outlet CNN has played the movie several times since its release. After the network showed the movie in October 2013, CNN’s Anderson Cooper hosted a special discussing it. A special edition of Crossfire also covered Blackfish, bringing on the movie’s associate producer to debate conservationist and zoologist Grey Stafford. Manby went on to describe a new partnership with the Humane Society of the United States. In a conference call the day Manby’s letter was released, a representative for the Humane Society suggested to reporters that the organization could not partner with SeaWorld until certain orca programs were ended. SeaWorld’s stock took a dive in August 2014. The drop was attributed at least in part to the Blackfish movie. With heightened attention to the orca issue, California’s elected officials proposed legislation, which was never passed, to kill the park’s orca operations. In the approval process for the Blue World habitat expansion, SeaWorld faced a block from the regulatory California Coastal Commission. Approval of the massive expansion project was made on condition that the park would end orca breeding. Shortly afterwards, SeaWorld announced that it would modify its iconic orca shows.